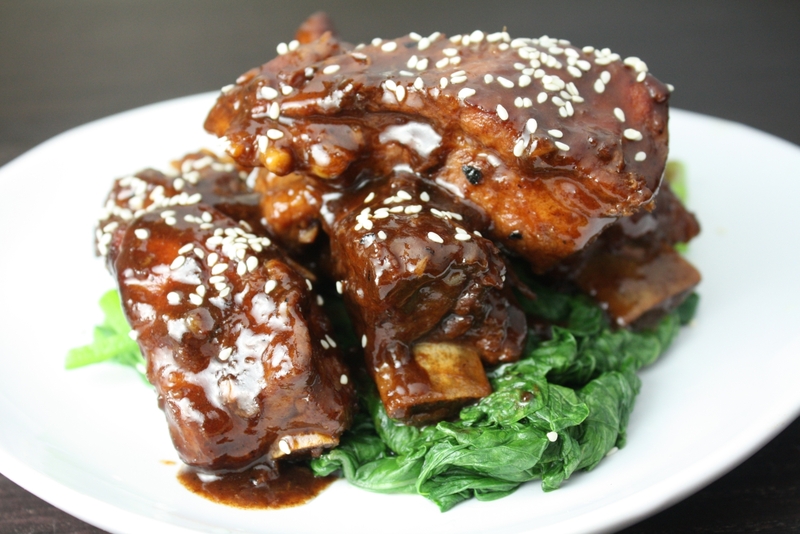 The Chinese name of this dish literally translates into “high rise” spare-ribs and has the meaning of rising up in power or position in increments. This naming is chosen because of the key seasonings used: 1 tbsp wine, 2 tbsp vinegar, 3 tbsp sugar, 4 tbsp soy sauce and 5 tbsp chicken broth. It has the symbolism of progressing or building up from low to high, and is often a dish that is served in Chinese New Year because of the symbolism to success and prosperity. Regardless of the origins of the name, it is a great dish that looks and tastes good. 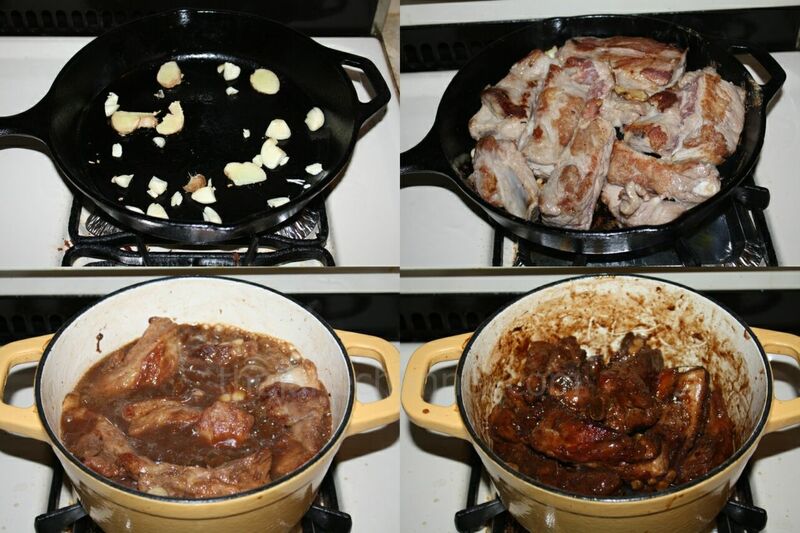 Make sure that you allow enough time for the braising process so that you have the most tender meat that falls right off the bones. Marinate the ribs with soy sauce for 30 minutes. Add corn starch and marinate for an hour or more. Heat oil in a skillet over medium-high heat. Add ginger and garlic, cook until fragrant. Add pork ribs, wine, vinegar, sugar, dark soy sauce and chicken broth.